Planning ahead is crucial, especially if you are expecting the whole family. In the week running up to Christmas Day (now!) count your cutlery, crockery and baking dishes. Make sure you have enough for the courses you are planning to cook and be sure to have them washed and stacked ready, on the day before. A specific theme or colour scheme is a must for creating a simple yet dramatic look. We enjoy matching our table to our home’s decorations. You might like to work with one, two or three colours which can tie the table together harmoniously - for example a white tablecloth with a red runner and red napkins with gold accessories. Monotone tables also look beautiful and can guarantee elegance; all white with silver is a personal favourite. Once you have a basic colour scheme with a simple spread, it’s nice to add a little touch of luxury to the table. This might be using your finest silverware or adding some luxurious fabrics; my go-to is vintage white linen. Candles and decorated holders can add instant sparkle while retaining a warm, welcoming atmosphere. 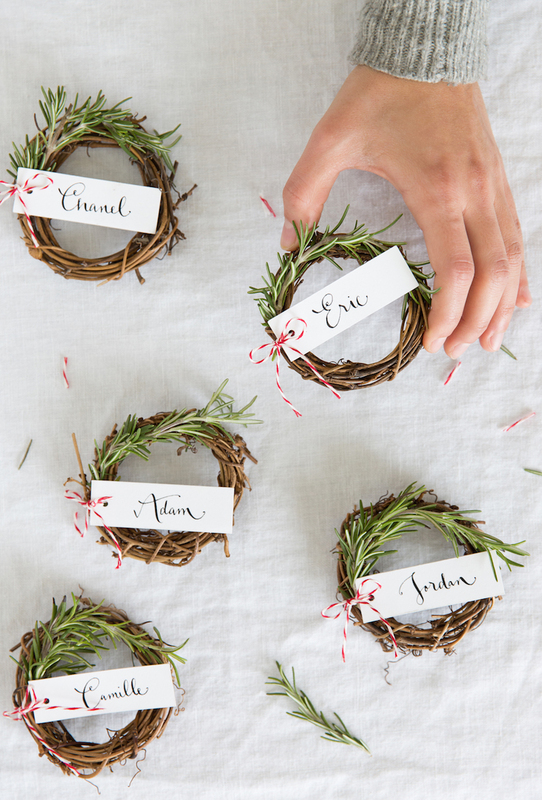 Personal touches can enliven your table with charm and make it memorable for your guests. These can be very simple touches from wrapping napkins with a bow to placing personalised name cards for your guests. If you have children they might like to help you by writing cards or decorating their own candle-holders. I love adding a natural element to the table by using flowers or festive cuttings. White or red roses always look glamorous, particularly if placed in a tall glass vase. If you’re worried about vases cluttering up space, try placing fir tree or mistletoe sprigs for a festive touch. Herb sprigs can also work wonderfully, particularly rosemary as it echoes the tastes and smells of your Christmas cooking.